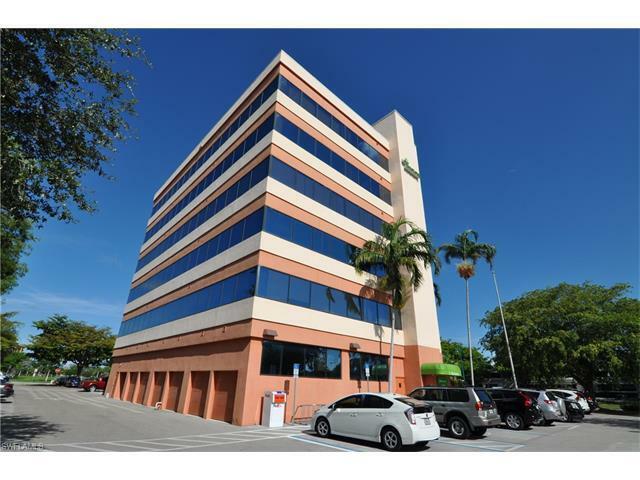 This 401-office suite consists of 7 offices, conference room, and bathroom, in the tallest and most notable office building on Marco Island. The unit is just under 2100 sq. ft. with 69% leased to a national tenant thru Oct. 2018. This tenant has occupied this space for the past 13 years. The views from this office condominium contribute significantly to its market value. The west view overlooks Marco Island Veteran Park, and views of the gulf and daily sunsets. This view is almost impossible to replicate. The remaining 31% of the office space is currently used by the current owner, and would be rented back by the owner following closing. Financial info available upon request. Appraisal dated July 2014 is available.